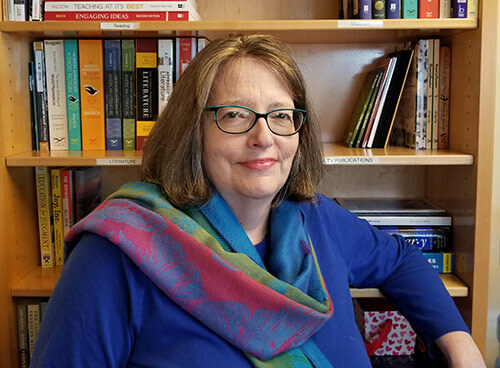 Joanna Howard is a poet and English professor who coordinates A Splendid Wake, a group of poet-volunteers dedicated to archiving the history of poets and poetry in the DC area. Her poems have appeared in Gargoyle, Sligo Journal, MiPOesias, On Barcelona, Winners: A Retrospective of The Washington Prize, Whose Woods These Are, and Teaching English in the Two-Year College. Her creative non-fiction appeared in Abundant Grace (Paycock Press). She has read her work at the PARS Reading Series (VA) and the Kensington Row Reading Series (MD) Howard was a technology editor with the Potomac Review and a guest editor of the poetry e-magazine Truck. She was a 2016 finalist in Arlington�s Moving Words Program, advisor of award-winning high school literary magazines, and has mentored student poets in the NAACP ACT-SO competition. Joanna Howard lives in Darnestown, Maryland and teaches at Montgomery College- Rockville.